If there were an instant, at a “big bang,” when our universe started expanding, it is not in the cosmology as now accepted, because no one has thought of a way to adduce objective physical evidence that such an event really happened. One thing’s almost certain: Just before the thing that’s called the Big Bang the whole universe was very small. How do we know? This is the calculation of Lemaître―made with then-new general relativity―that went missing in Eddington’s careless hands. ‘Big Bang model’ actually means results obtained from the equations of GR. They say how much of each kind of light element there should be in the universe. Observations say that what the model says is right. The model depicts matter in the early universe as dense and hot and rapidly expanding. Experience says dense, hot, rapidly expanding matter comes from an explosion. Its shock wave is what makes it bang, expanding from the hot spot into cooler and less dense surroundings. It’s our mental imagery from experience that props up both the inapt name, Big Bang, and the false image of it as beginning with a bang. 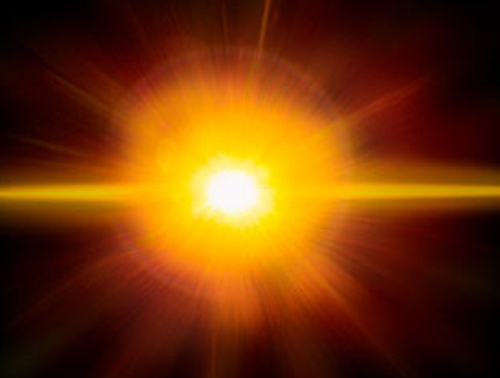 The Big Bang makes no shock-wave sound. Though the very early universe is fiercely dense and hot it has nowhere less hot and dense to go. It just gets bigger. So Freese has got the picture, and there was no bang. But before it didn’t bang there was a something, something very small. Something too small for GR and the Big Bang model to describe. Holmes observed a happening that didn’t happen―a dog that didn’t bark. This told him that the dog knew the intruder. What could a bang that doesn’t happen tell?